Women Clothing There are 493 products. It is said the dressing is not so important, but in some way showing the personality of a girl!, in our store you can find alot of various dressing from the Trendy, Casual, Sport or Elegant it is not important, the important is feeling yourself in the good way and then you can express also the sides most hiding, the girls without let it observing too much because they are aware about own beauty that is in the simplicity. We find also the style elegant and really loved to the girls in career: clothes, Tilleur, length skirts, flow gracefully and classy. Finally the sport style, a simple style but always trendy. who has never happened to have a friend that maybe we kidding cause the looking always sporting, which always dresses in jeans, sneakers and sweatshirts wide? There is alot of look that a girl can have, but the question when a girl wak up in the morning it will be every time the same "what i'm dressing?". 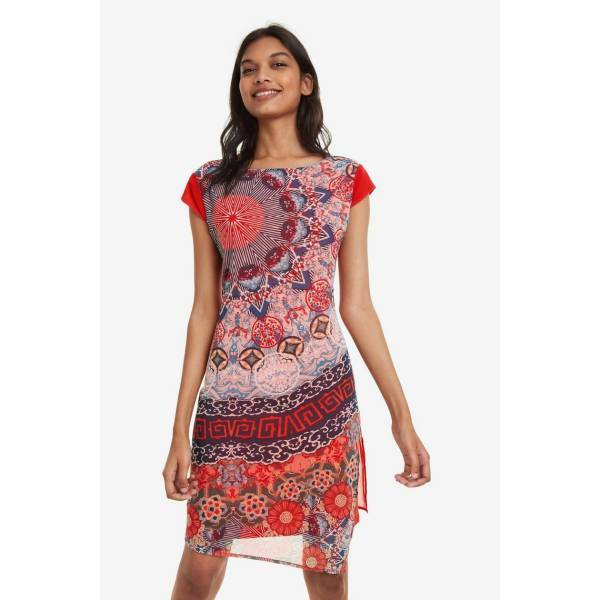 Our online store there is the possibility to choose between different brands, that you can find everything, from the italian quality of the dressing Nero Giardini, to the very colored and vibrant dresses Desigual that it will make your style really particular and happy. Young Shoes have already selected for you the best dresses. Sure, that it makes the woman a feminin is his way to be, the way to do, but also the dressing have a foundamental rule:skirts, short dresses, leggings, dress shirts are a must in the 'cabinet of each woman, for feeling everytime beautiful and also more sire of yourself about your beauty, but also if alot of their have for sure personal stylist and personal shopper that help and suggest. We women "simply" instead our look we have to inventing and create us! It is essential or more wanted and innovative, a girl knows when can dare. There is a dress that join and we found for all the taste and style: The Jeans! The jeans is always present in each wardrobe and in eeach outfit! Today you re a sport girl and you dress a simple polo? Polo and jeans are an optimal union! You are more elegant and you have some decolletè comenid to the you re favourite bag? Dress a tight jeans and a shirt, you will be always impeccable.